The United States African Command’s effort to deepen its penetration of the continent faces resistance; with the recent opposition coming from Ghana’s opposition parties. A leader of the second largest political party in the West African state of Ghana, the Deputy Secretary General of the National Democratic Congress (NDC) Koku Anyidoho, was arrested on 27 March 2018 after making comments about the New Patriotic Party (NPP) government of current President Nana Akufo-Addo. Anyidoho, in an interview over a national radio network Happy FM, severely criticised a military agreement between Ghana and the United States, which would in essence establish a Pentagon base inside the country. This decision was initiated by the executive branch of the government and approved by Parliament on 23 March 2018. Opposition members of Parliament who opposed the character of the deal walked out of the legislative branch prior to the vote. The agreement has generated controversy leading to demonstrations in its aftermath. The NDC, a centrist-left organisation, is the main opposition party in the Ghanaian Parliament. The NDC Deputy Secretary General said that if the deal was not revoked there should be a political coup against the NPP regime. Immediately the Criminal Investigations Department opened an inquiry into the statements by Anyidoho. He was later taken into custody and spent two nights in detention under the authority of the Bureau of National Investigations. Akufo-Addo’s NPP represents the political heirs of the forces who opposed the Pan-Africanist Kwame Nkrumah and the Convention People’s Party (CPP), which led the national liberation struggle that won independence from the British in 1957. In July 1960, Nkrumah became president of the First Republic just three years in the wake of independence. After the US-engineered coup against the Nkrumah government on 24 February 1966, a military and police regime known as the National Liberation Council served for two years until elections were held in 1968 which brought to power the conservative pro-western elements which had always opposed the anti-imperialist and socialist policies of the Nkrumaist forces. A number of additional military interventions in Ghana politics occurred during the 1970s and early 1980s. Nana Akufo-Addo was elected as president in late 2016 amid worsening economic conditions in Ghana during this period. The situation was not an isolated one where with the decline of commodity prices on the international market prompted many emerging states into recession when the prices of oil, natural gas, strategic minerals and agricultural products dropped precipitously as a direct result of US foreign policy under the administration of President Barack Obama. Although there have been two previous military agreements with the US government in 1998 and 2015, the announcement about the enhanced deployment of Pentagon troops has set off a firestorm. Ghana is a strategically located state, which has agricultural (cocoa), mineral (gold) and energy (oil) resources, which are being produced and exported on the international market. In the aftermath of the approval of the March 2018 military deal with the Pentagon, opposition parties formed a Ghana First Patriotic Front (GFPF) to agitate against the incursion by the United States African Command (AFRICOM) and the policies of the NPP administration. Official government statements have denied that the character of the agreement between Washington and Accra jeopardises the sovereignty of Ghana as an independent nation. However, the US military has sought to spread its presence and influence throughout Africa over the last decade since the administration of former President George W. Bush. AFRICOM was formed under Bush in February 2008 and was expanded through the Obama administration. Since President Donald Trump has taken office more Pentagon and Central Intelligence Agency personnel have been deployed in Africa. There have been escalating clashes between Special Forces and local elements labelled as terrorists in Somalia and Niger. A base of at least 4,000 Pentagon troops is stationed at Camp Lemonnier in Djibouti in the Horn of Africa. In Somalia at least one Pentagon soldier was killed in combat operations last year. During October 2017, four US Green Berets were slain in a battle in Niger, also in West Africa. No concrete explanation has been provided as to the actual circumstances surrounding the deaths of these elite combatants. Many Ghanaians want to avoid an escalation of violence within their country. Some have said that the mere existence of US soldiers on their soil will invite attacks against the armed representatives of Washington. During the 1960s under the leadership of Kwame Nkrumah, the CPP categorically opposed US military intervention in Africa. Nkrumah in his book entitled Africa Must Unite, published in May 1963 at the founding of the Organisation of African Unity in Addis Ababa, Ethiopia, emphasised that there was no need for imperialist military bases in Africa. Nkrumah was targeted by the former administration of the-then President Lyndon Johnson due to his anti-imperialist, socialist and Pan-Africanist politics. 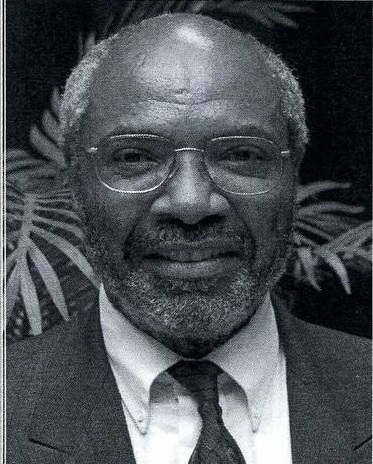 His 1965 book, Neo-Colonialism: The Last Stage of Imperialism, attracted the ire of the US, which issued a letter of protest through the Assistant Secretary of State for African Affairs G. Mennen Williams. Just a few months after the publication of the book, which identified US imperialism as the major impediment to the development, and unity of Africa, Nkrumah was overthrown in a coup while he was out of the country on a peace mission involving the occupation war of genocide in Vietnam waged by Washington for many years. Irrespective of the subtleties of the various characters of US military presence in Africa it is only designed to facilitate the centuries-long exploitation and oppression of the people. The legitimate security and economic interests of Ghana and Africa as a whole will only be realised through the collective efforts of the masses themselves.